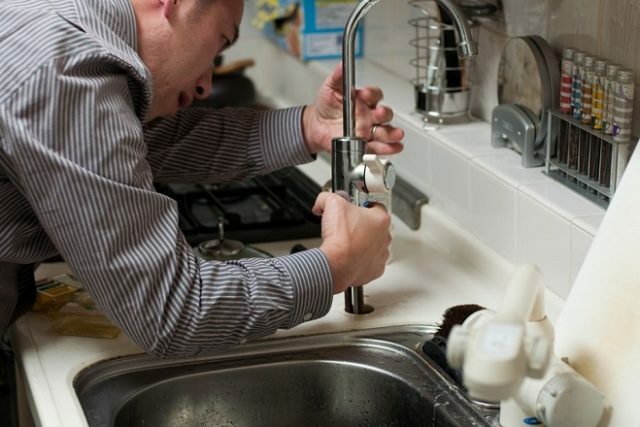 There are many things on which homeowners can save money, and there are certainly some elements of plumbing that one can tackle on their own, without running into any issues. Of course, there are also more difficult jobs where you should call in a gas safe register , to avoid creating more problems. Somewhere between these two extremes, the easy DIY jobs everyone can handle, and the ones only professionals should, like the jobs that look easy, but are not. The good thing about these is that they sometimes lead to hilarious results. There isn’t a great deal of things that are funnier than an unwilling individual being subjected to an unexpected shower because of their own forgetfulness. Of course, when someone is getting ready to fix something, they get all serious, look for their tools and get them all ready. Then, as they finally begin working, splash! Water going everywhere, in every single direction. At first, perhaps they try to keep it from coming out with their hands, then they may ask someone to help. However, as funny as this situation may be, it could lead to serious issues, such as the pipes rupturing, which could lead to a flood. Yeah, yeah, it may be very tempting to add a little extra something to your fixtures, to give the space just a little bit of personality. Well, while this may sound like a great idea, decoratively speaking, from your plumbing’s point of view, it’s really not. Indeed, your beautiful-looking decorations may just end up tearing your plumbing down as time goes by, leaving you with a not-so-beautiful leak issue. Sure, we all have busy lives, and we like to take as many shortcuts as possible. You may think that putting more than one item at a time into your garbage disposal is a great idea, since it will move everything along faster. The issue? Most garbage disposals are made to work with just one item at a time, and putting in more than that, while it may save you a few precious moments, can lead to your kitchen stinking, which is just not something anyone wants. While having plumbing fixtures in all sorts of different locations may be quite convenient, it may just lead to you getting very low water pressure throughout the house. What this leaves you with is a sort of ironic situation, where your excitement for getting plenty of water leaves you with a great deal less than if you would have simply placed fewer fixtures from the start. We’re sure you’ve seen plenty of pictures with truly cramped bathrooms, where one barely has the space to sit down on the toilet, since they are touching the door or the wall with their knees. How do homeowners get themselves into those sorts of situations? Well, it’s actually a great deal easier than you may have thought: all you have to do is not pay attention when you’re planning out your plumbing system. The risk here is that there won’t be enough space between and/or around the appliances and plumbing fixtures, leading you to a frustrating space distribution. All of these situations have one thing in common: they’re quite funny. Of course, not for the individual who has to go through them, since they likely experience them as quite infuriating, to say the least. However, for people looking from the outside in, they’re just hilarious. The good news is that all of these can be avoided by simply getting informed ahead of time.